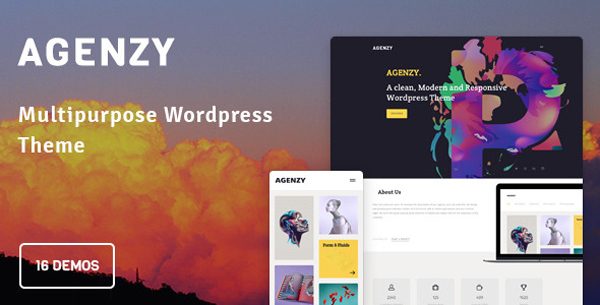 Agenzy Is a large WordPress Theme, designed for the Agencies,freelancers, photographers and other creative people. Give at your work a new amazing space. The theme has an Original and Clean Design. And also it comes with a lot of demos, is really highly customizable and you can create your custom layout with a simple drag & drop. See the Live Preview for Select a Demo and view the Theme or Scoll Down for More Details about Agenzy.